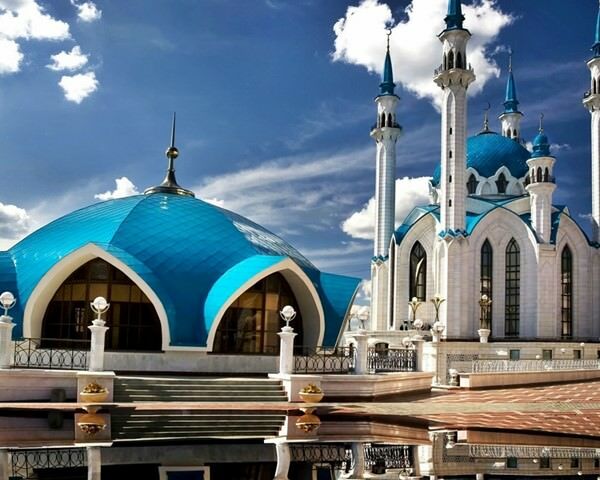 Kazan is a very contrasting city, which combines original Russian cultural traditions and Tatar mentality. 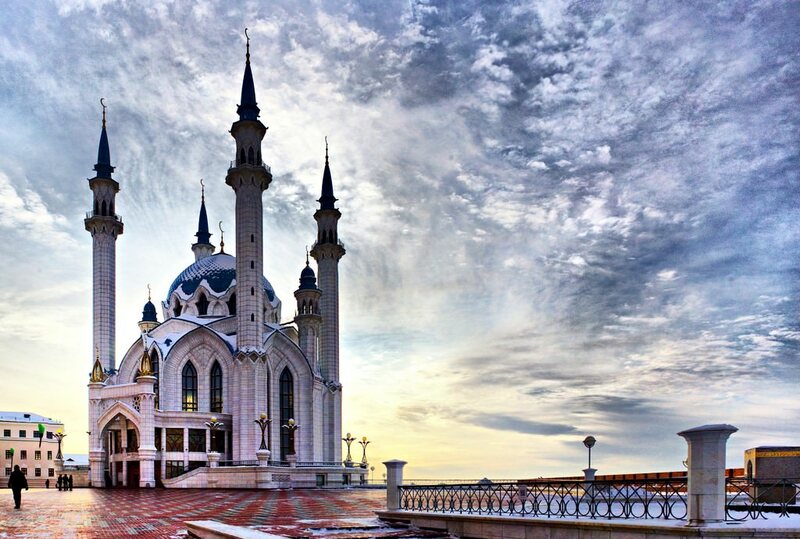 Many visiting Russians feel themselves to be foreigners in Kazan, because Tatar is widely spoken in the city. Local people piously respect the ancient traditions and do not forget about their origin. At the same time, Kazan is part of Russia, and this fact is also treated with due respect. The exact date of the foundation of the city is unknown, but its age is for sure more than a thousand years. The official date of the founding of the city is 1005, but new archaeological findings indicate that Kazan is exactly several dozen years older. The Kazan Kremlin is the main city landmark, which was built during the reign of Ivan the Terrible. It was built by Smolensk masters, who at that time were considered the best masons. Also, Kazan surprises with the location of the smallest subway in Europe located here. Inside the metro does not look diminutive: there are spacious vestibules, modern escalators, and many other things that were done counting on a large flow of tourists and locals. But there are only five metro stations in Kazan, and therefore locals prefer to travel to other destinations by other forms of public transport. The famous Kazan University operates in the city, and therefore a significant part of its residents are students. The favorite place for students to relax is the benches near the university, located in a semicircle; the locals call them a "frying pan". Here youths likes to gather, and often play songs with a guitar. Kazan is one of richest Russian cities in attractions. The main historical symbol of the city is the Kazan Kremlin. This architectural complex includes constructions of the 12th-20th centuries. It is unique because its exterior amazingly combines Western and Eastern traditions. Near the Orthodox temple, you can see an incredibly beautiful mosque. There is the Turkic tower near luxurious mansions in European style. It is just impossible to look over all the Kremlin attractions in just one day. Another interesting attraction is the Temple of All Religions. This religious monument has a lot of architectural peculiarities. The author of this unusual temple’s project was the humanist Ildar Hasanov. He managed to create the project of the temple that combines 16 confessions. The construction is a difficult asymmetrical complex with domes and towers in all the colors of the rainbow. On the facade, you can see windows of different shape and size, arches, and other unusual decorative elements. Since its construction, no religious events have been held in this temple. It has only an architectural value. The Palace of Farmers has a special value among architectural monuments of Kazan. With its exterior, it resembles luxurious palaces built in the period between the 18th-19th centuries in Italy. Actually, this luxurious building was built not so long ago, in 2010. Today, this belongs to the Ministry of Agriculture of Tatarstan. The temple is surrounded by the beautiful landscape garden. Another historical monument is Shamil’s House. This beautiful mansion was built in the 19th century. The family of the famous imam Shamil lived here. At the beginning of the 20th century, this historical building was almost destroyed in a fire but then was reconstructed fast. After the Revolution of 1917, all the values were withdrawn out of the mansion and it was rebuilt into the house. People had lived here until 1981. In 1986, the mansion was turned into the museum dedicated to the works of the famous poet Gabdulla Tukai. Near it, there is another luxurious monument of the early 20th century, Ushakov’s House. This mansion was built by the famous merchant Alexey Ushakov for his bride. Since its construction and up to this day, the house is considered as one of the most beautiful in Kazan. This guide to iconic landmarks and sights of Kazan is protected by the copyright law. You can re-publish this content with mandatory attribution: direct and active hyperlink to www.orangesmile.com. Check on the map: Distance from Kazan center - 0.7 km. All about Kazan, Russia - sightseeings, attractions, touristic spots, architecture, history, culture and cuisine. Prepare your trip together with OrangeSmile.com - find out the 'must see' things in Kazan, which places to visit, which excursions to take, where the breathtaking views are waiting for you. Planning your trip with this travel guide will help your to get the most out of Kazan in few days.